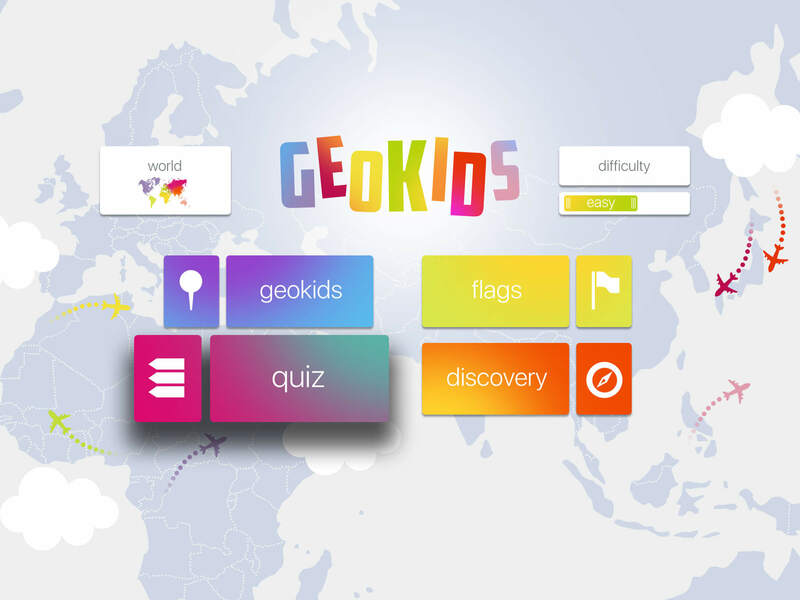 With GeoKids World, learning Geography is fun. 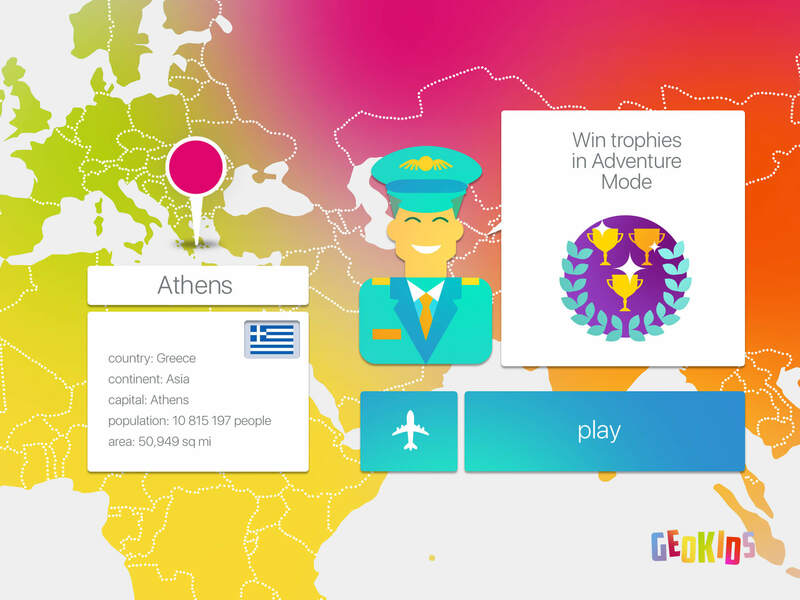 * Adventure mode: Explore 100 destinations to improve your experience level, win trophies (and more…). 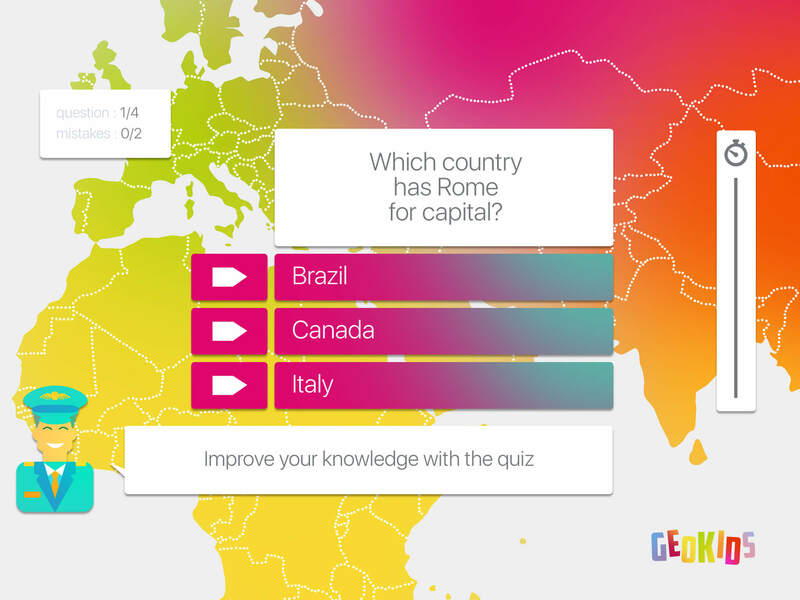 * Training mode: Train yourself on GeoKid (locate countries, capitals, mountains, seas…) and with quizzes as well (with questions about capitals, flags, areas…). 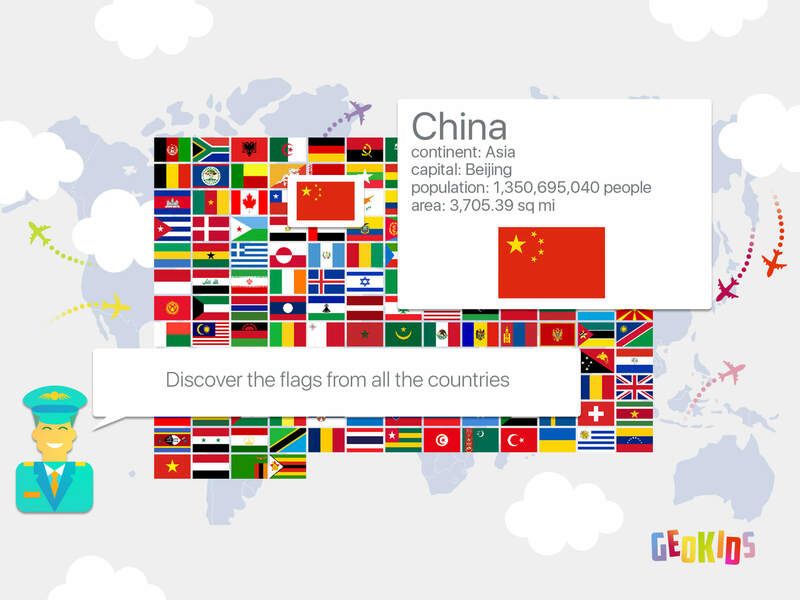 Access the ‘Flags’ mode, click on a country flag and get the related info (and location). 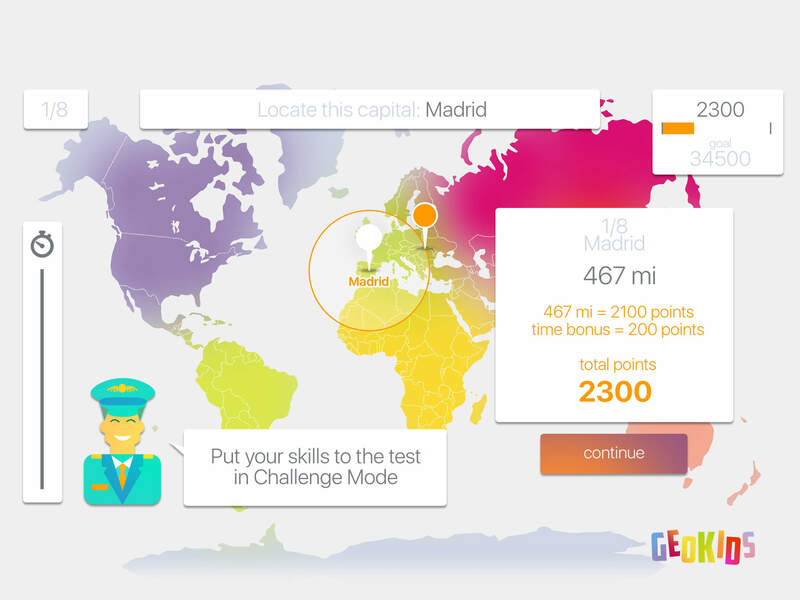 Access also the ‘Discovery’ Mode, freely navigate the world map and discover all the countries. – Totally new feature: “Conquer the world”.